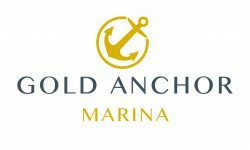 Nestled in a sheltered harbour, Gold-Anchor Batemans Bay Marina offers easy walking access to the charming township of Batemans Bay, surrounded by the natural beauty of the South Coast of New South Wales. While the stunning Clyde River winds its way under the iconic lift bridge, there is no shortage of picturesque beaches and clear ocean waters inviting you to immerse yourself in an underwater adventure, or just relax and unwind. The succulent local seafood is some of the best in the region, with Clyde River oysters a favourite—or you can chase marlin offshore. Add local galleries, boutique shops, a 27-hole golf course and a backdrop of national parks, and you won’t want to leave.